Mirrors are great decorating accents; they can lend the illusion of extra space and they contribute to the ambiance of a space by reflecting the light. In the case of the Riviera Mirror by American Heritage, the mirror is also a decorative element itself. 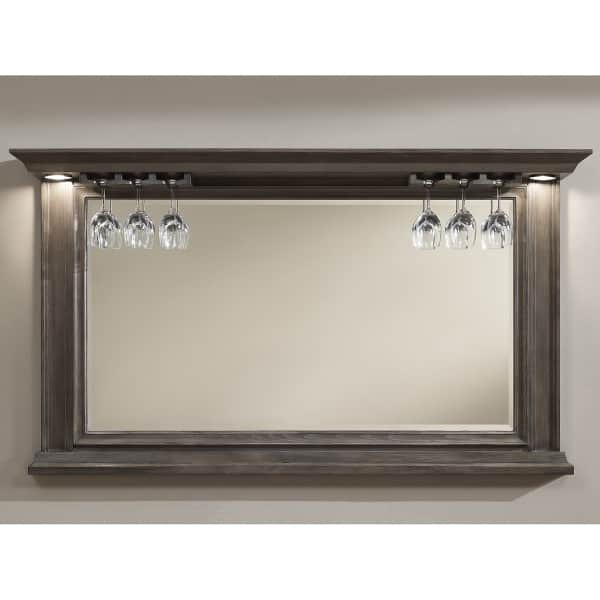 This beautiful beveled mirror has a wide sold wood frame with an understated transitional style. 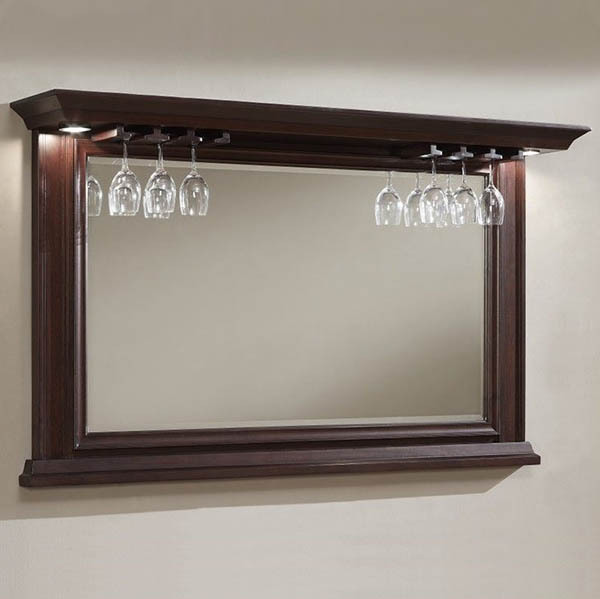 It is an impressive 68” wide and comes equipped with stemware racks and a decorative shelf. 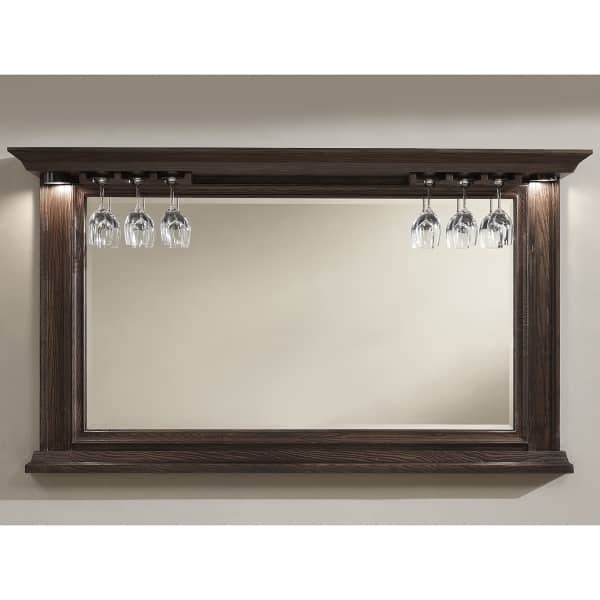 The Riviera Mirror is a perfect accompaniment to American Heritage bars. They come with a cord that plugs into a 110 outlet with a flip switch on the cord.